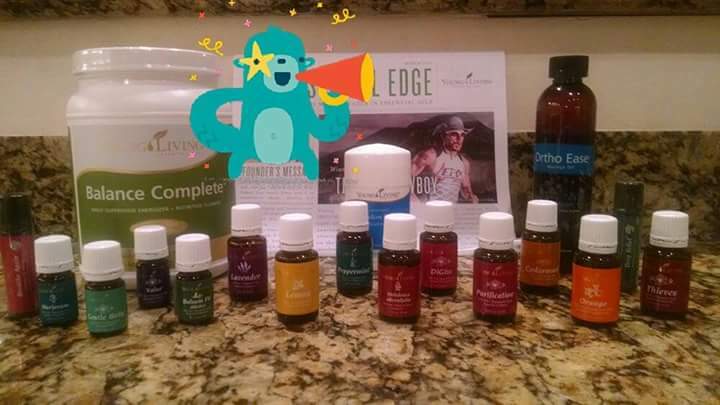 Every month my family receives our monthly wellness box from Young Living. This box helps us stay above the wellness line and have a chemical free home. I thought i’d share what all I got in my wellness box this month. What more information on these great products and how to help your family stay above the wellness line, contact me. I LOVE getting my monthly Essential Rewards order. It is like Christmas every month when it arrives. Here is a video of my Unboxing of my Essential Rewards for March. If you are ready to start your oil journey, I’d love to help you out and support you. Click HERE to sign up or ask me any questions. Hello my Northern friends! Hope y’all are staying warm and had a great holiday season. Here are the promotions for Canada this month. 1 box Slique Bars – Tropical Berry Crunch – YUM!!! That’s over 100PV points of free products for you to choose….AWESOME!!!! Fall is here!!!! Yeah!!!!! This is my favorite time of year. I love the cool nights and finally being able to put on a warm sweater in the evening while I curl up on the couch with a cup of hot tea. 5-ml Lemon: Lemon essential oil includes the naturally occurring constituent limonene. Lemon has a delightful citrus taste and is a versatile option for enhancing the flavor of foods and drinks, from roasted vegetables to lemonade. 15-ml Tangerine: Tangerine essential oil helps support a healthy lifestyle regimen. * This oil adds a sweet citrus flavor to foods and water and is a bright complement to marinades, side dishes, and dressings. Do you know how much all these goodies are worth? Retail Value: Up to $142.76!! How awesome is that???? I know I am excited about trying out the Mineral Essence. It has been on my wish list for awhile. All these goodies are worth Retail Value: $92.76!!!! These goodies are worth Retail Value: $54.93!!!! Now for all the details…..
Offer is valid from 12 midnight, MT, September 1, 2015, to 11:59 p.m., MT, September 30, 2015. Limit of one free 5-ml Lemon essential oil, 15-ml Tangerine essential oil, Mineral Essence, and 50 Essential Rewards points per qualifying standard order. Limit of one free 5-ml Lemon essential oil, 15-ml Tangerine essential oil, 5-ml Aroma Life essential oil, Mineral Essence, and 50 Essential Rewards points per qualifying Essential Rewards order. Your 10 percent back in Essential Rewards points will be available to use on or around October 20. Limit of one qualifying standard order per month and one qualifying Essential Rewards order. Limit of one free 5-ml Lemon essential oil, 15-ml Tangerine essential oil, and Mineral Essence per qualifying standardorder. Limit of one free 5-ml Lemon essential oil, 15-ml Tangerine essential oil, 5-ml Aroma Life essential oil, and Mineral Essence per qualifying Essential Rewards order. Limit of one free 5-ml Lemon essential oil and 15-ml Tangerine essential oil per qualifying standard order. Limit of one free 5-ml Lemon essential oil, 15-ml Tangerine essential oil, and 5-ml Aroma Life essential oil per qualifyingEssential Rewards order. What’s in my June Essential Rewards Box! Every month when my Essential Rewards(ER) Box comes it’s like Christmas for me. I love getting new products and restocking my favorites. This month was my biggest order yet but so much fun. You can check out all the goodies I got in this video. If you’re intrested in ER and want to learn more check out this post. Tuesday Tip – What is Essential Rewards? If you like free stuff then you’ll love Essential Rewards!!!! Essential Rewards(ER) is the “autoship” program from Young Living. Let’s face it, the term “autoship” FREAKS people out. It does me at least. I am going to try to answer some questions about Essential Rewards and hopefully make it a “little” less scary. Here’s a little video to tell you about it. Why sign up for Essential Rewards? Personally I knew after using these oils that I would be ordering a minimum of 50PV ($50) a month. This was a new “way of life” for my family. I didn’t want to use OTC medicine if I could help it. I KNEW I wanted to invest in these oils and learn what works best for my family. I already had a list of oils that I NEVER wanted to be without (lemon, thieves, peppermint, lavender, valor….). So for me, I knew we would spend $50 a month. I was okay with not getting a fancy coffee drink when we are in town or eating out less. I really did look at it as an investment in my families health and that is priceless. When you sign up for ER, you get a cheaper shipping rate, AND you earn credits for free oils. That sold me right there. Once you sign up, you earn 10% in free oils during months 1-6. You earn 15% in free oils during months 7-12, and 20% in free oils months 13+. AMAZING. They calculate that based on your personal volume (PV) order total. So if you order 50PV, you earn $5 in free product credits in months 1-6. If you order 100PV you earn $10 in free product credits in months 1-6. PV is typically the $ amount of the item. However, there are a few things that have NO PV, like capsules or marketing tools. Kits and diffuser have a slightly less PV than $ amount. Oils though are usually equal in $ amount and PV amount. Okay, so FIRST you have to be a member with Young Living to qualify for ER purchases. Once you are a member you can register for ER. Some wait until their second month in, some do another order immediately after their initial kit order….that is totally up to you and your budget. You can always choose to be a member and get distributor prices and NEVER participate in the ER program. That is totally OK too. You can sign up WHENEVER or never, its all up to you. Once you are an ER member, there is NO obligation to STAY an ER member. You aren’t signing your life away for a year. You aren’t going to have to pay a fee for “dropping out”…if you want to quit ER. You can quit ER, no questions asked. That made me feel A LOT better. You are only required to meet the 50PV minimum in orders to maintain your ER shipments. You can skip ONE month of ER per calendar year if money is tight or whatever. If you ever do cancel, you need to make sure you redeem your free product credits BEFORE cancelling. If you don’t you loose them. You have to complete TWO ER orders before you can redeem points for free product. Another thing I like about ER is that you can change your ship date each month. If you want it to ship on the 15th one month and the 29th the next, you just change it. No problem at all. You also can choose what ships to you each month. I can order lemon, thieves, peppermint and orange one month and something totally different the next. You just have to remember to go in and manually change it each month. Don’t worry, signing up for ER does NOT mean that you will have to do the business part or share YL with every person you meet. (Although I find it hard not to.) It is just great if you see you are making consistent orders over $50 a month, and you want to earn free oils. Plus cheaper shipping. All you have to do is sit back and enjoy your oils and earn free product credits. So, how do you sign up? First go to the Young Living page, click on the menu in the top left corner. Next click on the virtual office and log in with your information. Once you are on your virtual office page you can click the menu again and you will then see a spot that says Essential Rewards. Click on it and follow the directions. You will have to enter a CC number that you want them to auto draft each month OR a checking account. You then will choose what you want the ship date to be. Make sure you set that date, because it defaults to the next ship date. It will then require you to enter 50PV in product. You can alter those products up until the day of shipping. Mine alters daily as I check our budget and add oils. ALWAYS be sure to save your changes. It’s as easy as that. If you have ANY questions, please feel free to leave them here in the comment section. Our feel free to email me. This took me a GOOD while to wrap my brain around. So ask as many questions as you need. Again, no pressure ever to sign up for ER. Just wanted to explain how it works. Here is what I got in my Essential Rewards package! If you want more information on Essential rewards check out this post.